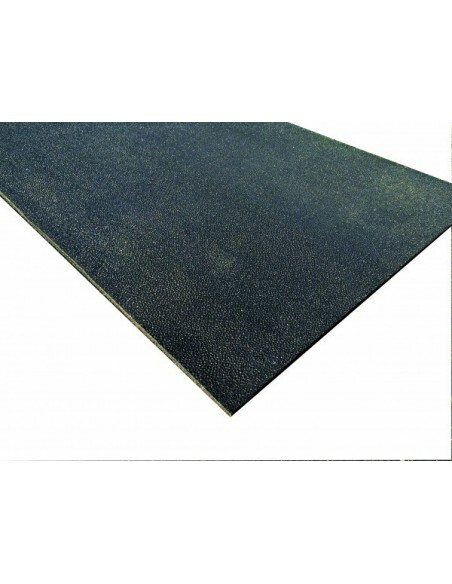 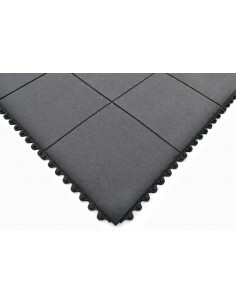 Heavy duty rubber mat for gyms, weight rooms, stables and industrial applications. 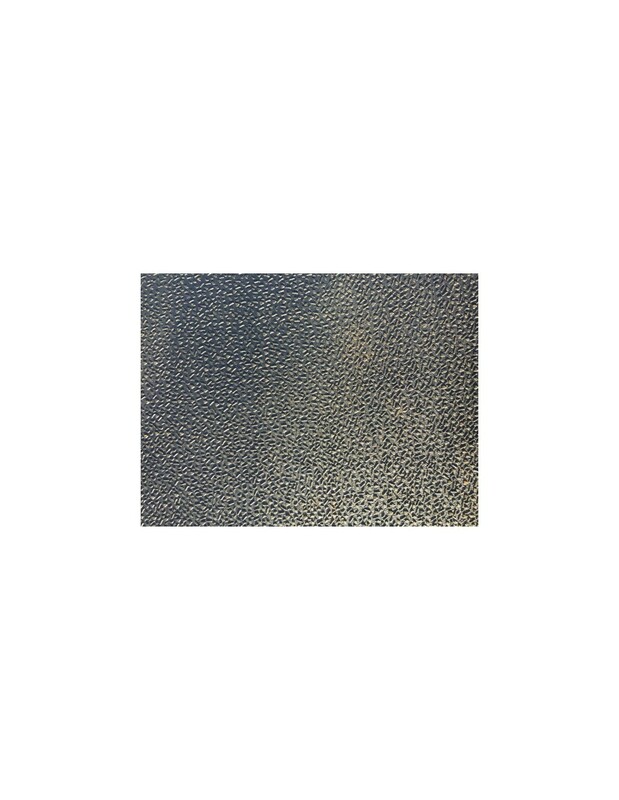 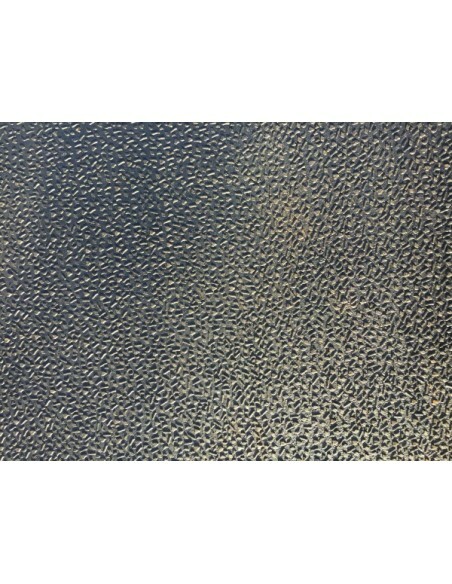 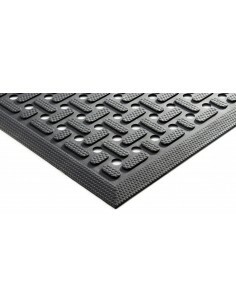 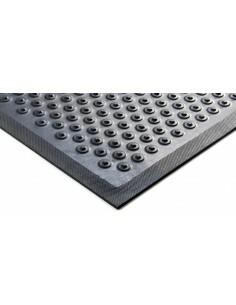 A heavy duty rubber mat with a easy-sweep amoebic surface pattern. 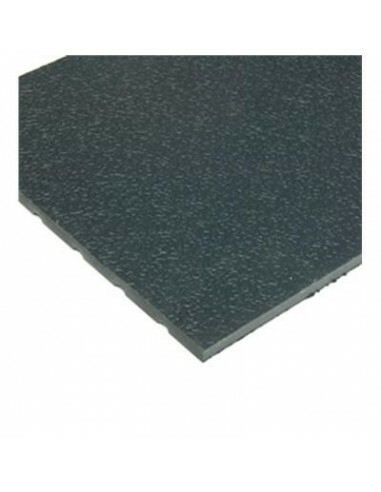 Featuring excellent anti-slip properties it is Ideal for gyms, stables and industrial applications. 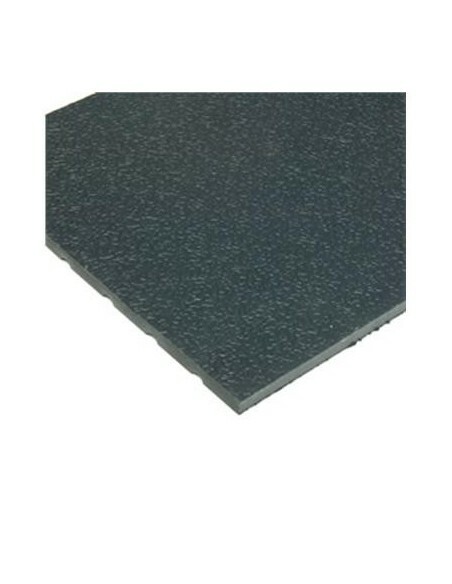 We need some gym floor matting that will sit on top of wooden floorboards. 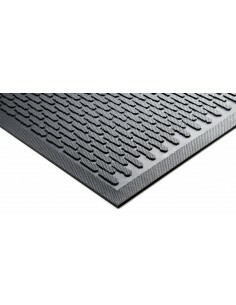 Will this mat sit directly on top of the floorboards or is it best to have something between the mat and the boards? 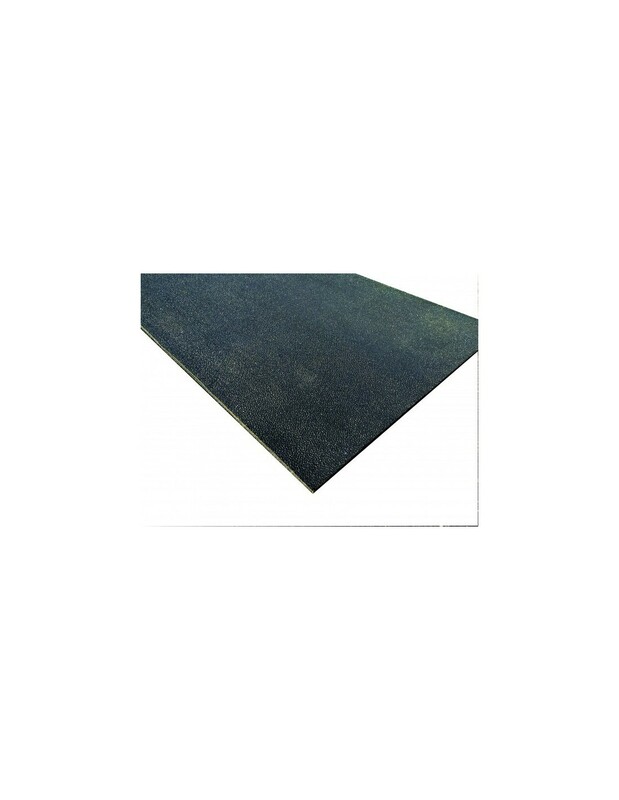 Hello and thank you for your enquiry. 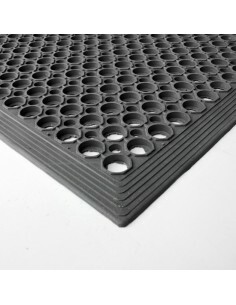 This mat can sit directly on the floor boards, the only reason to put something in between would be to stop the rubber from marking the floor underneath. 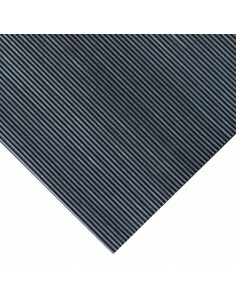 Hi Terry, it is quite thick so it takes a bit of effort, but the best way is to use a stanley knife or a hand-saw and lubricate with fairy liquid or soapy water to overcome the friction between the blade and the rubber. 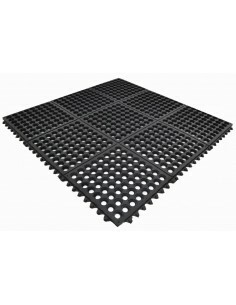 Will it be alright to put this under a washing machine? 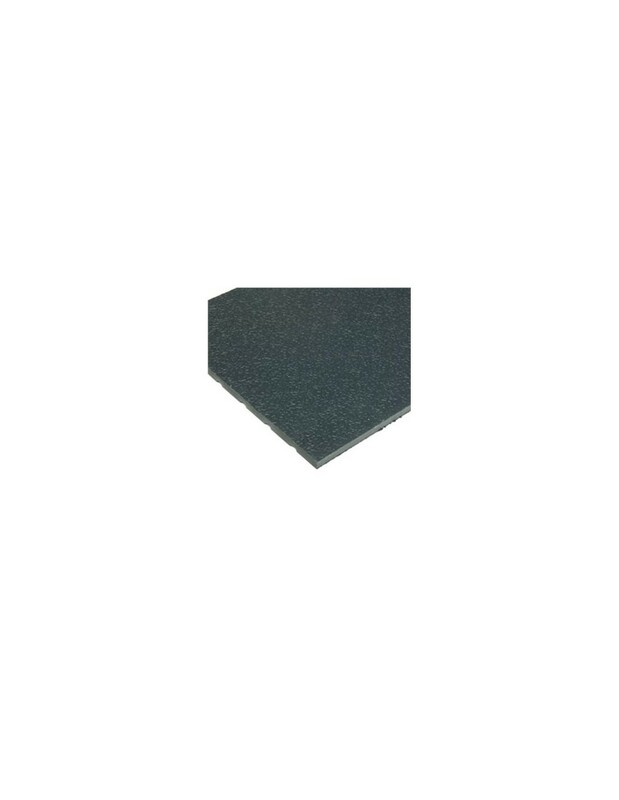 Yes that should be fine. 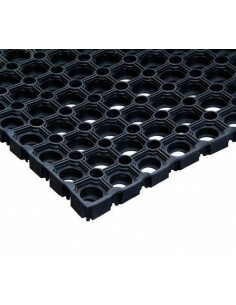 Since this product can't be rolled, delivery for one mat would be quite expensive though. 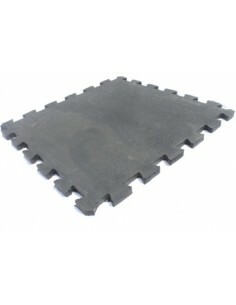 You could also try the RM/0911 which is a similar thickness and is cheaper to deliver.